To me, this description of a sales launch was like a unicorn/fairy/magic act of online marketing that was made of dreams and pixie dust. I’d heard about others getting it as though a) I have no idea how the heck they are doing this, and b) I would love to have that, but it is never, never, ever going to happen. Good news. I was wrong. 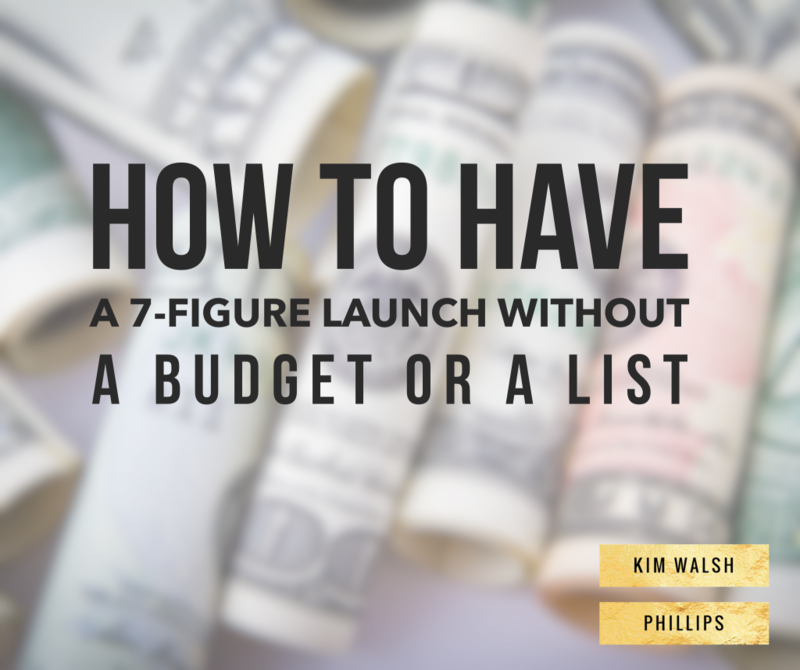 In now having been part of several 7-figure launches, I have discovered not only how it is possible, but how anyone, even without a budget or a list can do it. 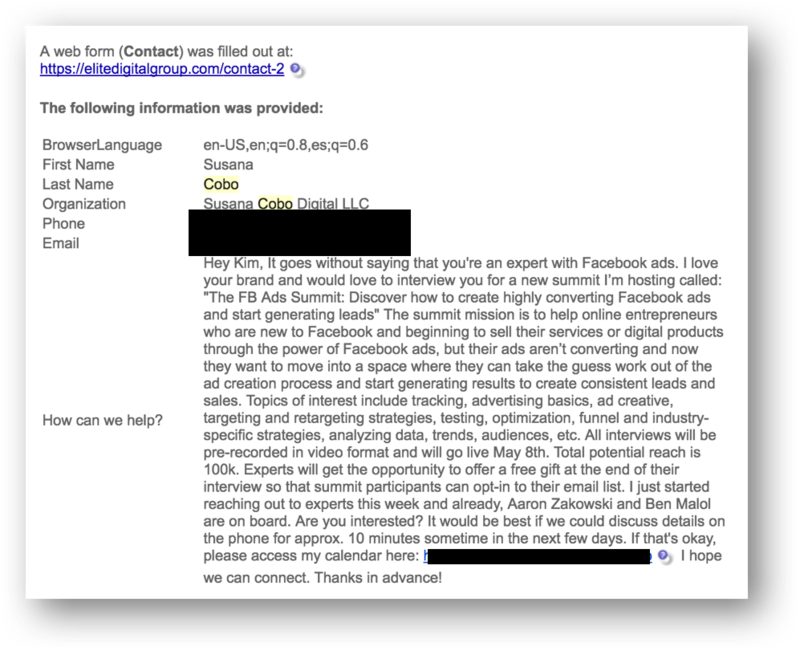 When growing your email list without a budget, it can take forever to build your list of contacts. To jumpstart the growth and foster partnerships, this is a strategy that works wonders. It is why you see so many people holding them. I’m talking about an information-only value-rich event, like an online summit or symposium. For this type of event, experts are simply sharing information to viewers and nothing is being sold, except sometimes the recordings of the Summit. The ask is easier to the experts, as you simply are requesting for them to present or be interviewed for the event, during which they can give out their contact information to your viewers. The expert agrees to send a minimum of one email out to their list in exchange for being on your show. Who to invite to speak? Brainstorm a list from within your network of others who serve the same audience as you, and start with them. Even if everyone still has small lists, pooling your resources together for an event promotion goes a long way in growing everyone’s list. I did several of these when growing ours and they worked like gangbusters. 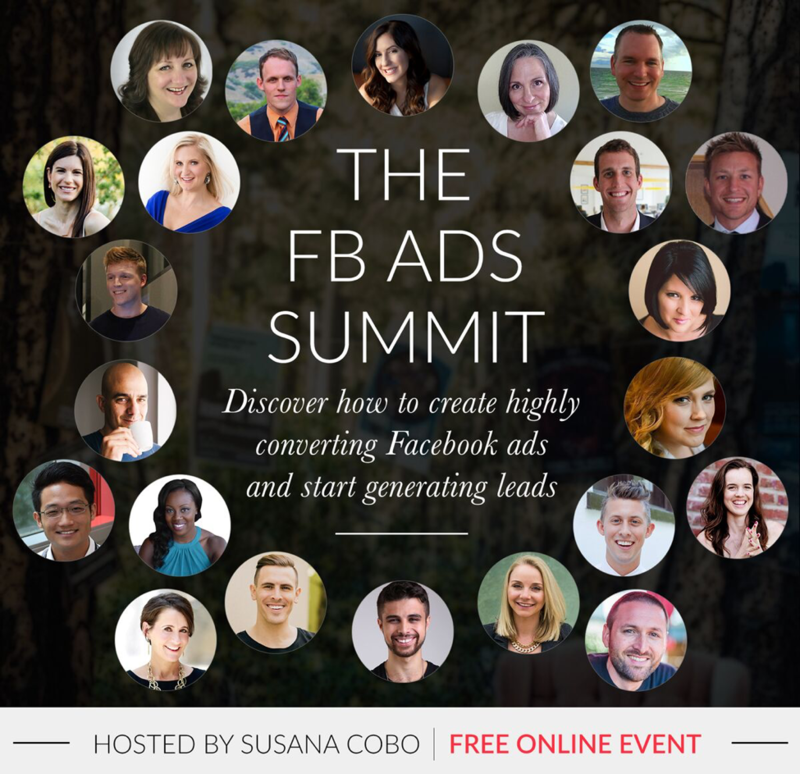 Susan ended up with over 4,000 people joining her email list from holding this online event, without having a marketing budget to start. Step Two: Support someone else’s launch. After you’ve grown your email list, to over 250 people or more, you can start to support other people’s launch events. Joining as an affiliate is a great way to build relationships before you ask someone else to support yours. In order to stay authentic to your list, I recommend promoting something for someone else no more than 6 times per year until your list grows to over 5,000 people. And of course, only promote things you are willing to personally be a customer of. Facebook Live. When you are prompting a launch, leverage the free platform of Facebook Live. Amazingly, Facebook Live doesn’t require a list or any advertising spend to use. Just make sure you tell your audience that you are getting compensated if they purchase something through your link. Add in your own bonuses. The best way to promote someone’s launch is to add in your own bonuses in support. It may feel overwhelming to create a new product, program, or service as a bonus, but you don’t have to. Simply having an accountability group call, or Private Facebook group could be enough to drive someone to a yes in purchasing. Behind the super-achiever we are at Elite Digital Group, we like to go farther and make the bonus “too-good-to-be-true.” For a launch we did earlier this year, we added in a huge bonus of “done for you services” and ended up in the Top 10 partner list, selling more than $40,000 worth in the last few hours of the promotion.If you want to try your hand at supporting a launch, we are currently seeking partners to promote our upcoming book, “Game Changer: How to Get 10,000 Fans in 72 Hours.” To get more details, click here. Step Three: Test your offer. Prior to running your own launch with partners, test selling your product, program, or service to your own list. Any strong potential partners want to know how well what you are selling will actually sell before they agree to partner. Step Four: Hold your own launch. Once you have grown to over 1,000 on your email list and have successfully supported at least 10 others, you can try your own hand at launching. The structure to follow when starting out is similar to the Informational Summit event, but now you are selling a product, program, or service, and your partners who speak at your event will get a commission if they send people to join your promotion who buy. And no, you don’t need a huge list to get started with this. You just need to get started, and holding launches ends up growing your list as well. We will interview you for our podcast and feature you on an episode of our Morning Coffee Marketers show. You will receive 50% of each sale of the $1,000 course. If you sell at least two courses, you get one for free for yourself. If you land in the top 3 partners, you get a bonus commission. If you land in the top ten opt-in partners, you will be featured on our Meet the Experts Day Live Broadcast on Thursday, October 12, 2017. All partners are invited to a cart-close cocktail party on October 12th and a Mastermind on October 13th in Palm Beach, FL. Want to experience the launch for yourself? Find out how you can join us as a partner here. It is not important that you start out with a huge list. No one does. What is important, is that you just get started. Growing your email list, building partnerships and bringing value to those you serve is always a good decision. Don’t wait for “the time to be right.” It never will be. Now is the time to get started. As always great content. Recently we’ve had a slow down on online sales. Being with GKIC I’m always looking for an edge. I’m planning on launching several new products in the next few months. A couple of them are subscription based memberships. I’m going to implement your strategy. With these new products. Wish me luck! PS. Keep up the great work! Even though I haven’t purchased yet. I’m still learning valuable information. Welcome to our community! Glad to have you and best wishes on your launches! 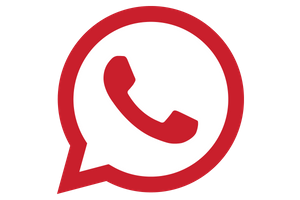 Keep in touch and let us know how it goes! I’ve hosted telesummits in the past and asked for a minimum of two emails. It created some great connections too. I actually dear reading your blog and it motivates me to live my life without worrying about others! Thank You so much you’re my true hero!